Email recklesscamp@bayareaderby.com to let us know if you are interested in either of these camps OR you can sign up now for our July camp. More information about the camp will be sent as it gets closer to start date. In the meantime, you are welcome to come to any open skate session which are held year round on Fridays 630 pm – 8pm. Go to below link, scroll down to the calendar and click on the Friday you want to come to signup. 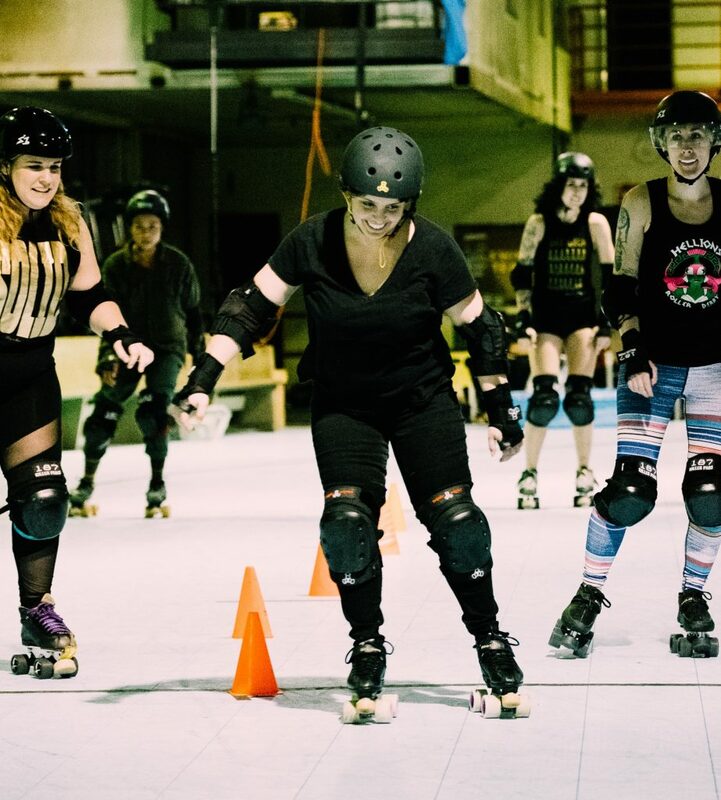 Also, Join the Reckless Rollers Facebook group.to connect with other skaters currently enrolled in the program as well as to stay up to date about any potential Friday open skate cancellations. You must RSVP to recklesscamp@bayareaderby.com to let us know if you plan on coming to open skate. You should arrive at least 15 minutes early to fill out paperwork. BAD HQ is located at 2635 Peralta St. Oakland, CA. The entrance is a green door and you have to ring the doorbell. Make sure to wear comfortable athletic clothing and bring all of your gear: skates, helmet, knee pads, elbow pads, wrist guards, and mouth guard. If you need to rent gear, please reach out ahead of your first session. We can’t guarantee we’ll have your size available. You’ll need to sign this waiver when you come to skate with us. We’ll have copies available for you to sign but you can also print it now. Your first open skate is free! But after that, each session costs $10. Additionally, you may purchase bulk package deals online by creating a Wellness Living account. Looking forward to seeing you on the track!